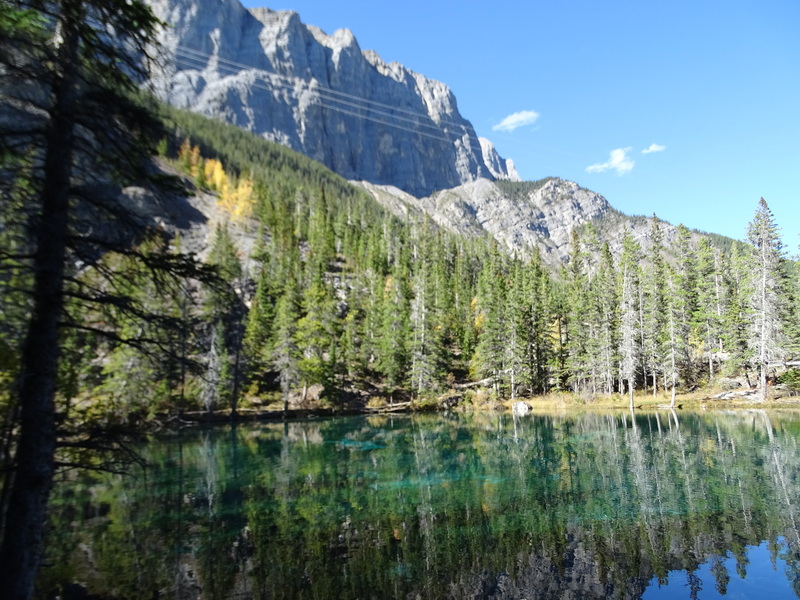 Just out of Canmore, in Nordic Centre Provincial Park, which is part of Kananaskis Country, you will find the emerald-coloured Grassi Lakes. 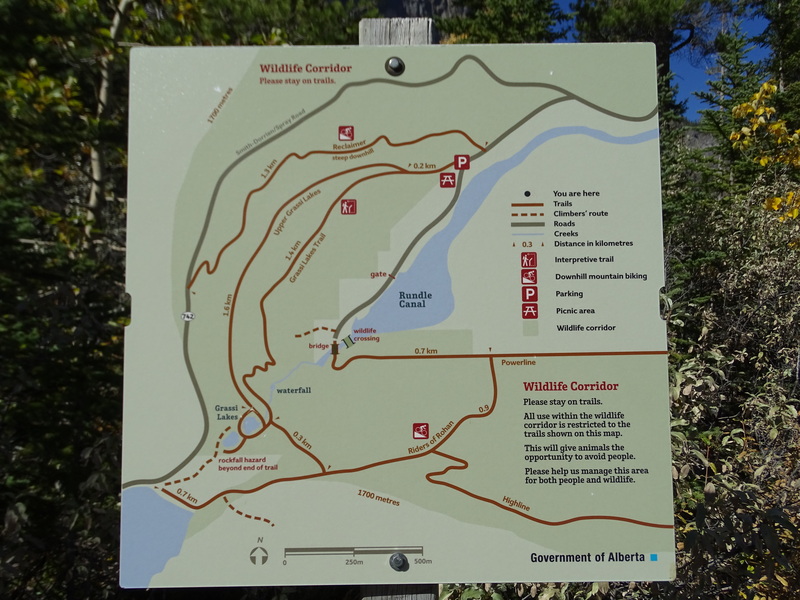 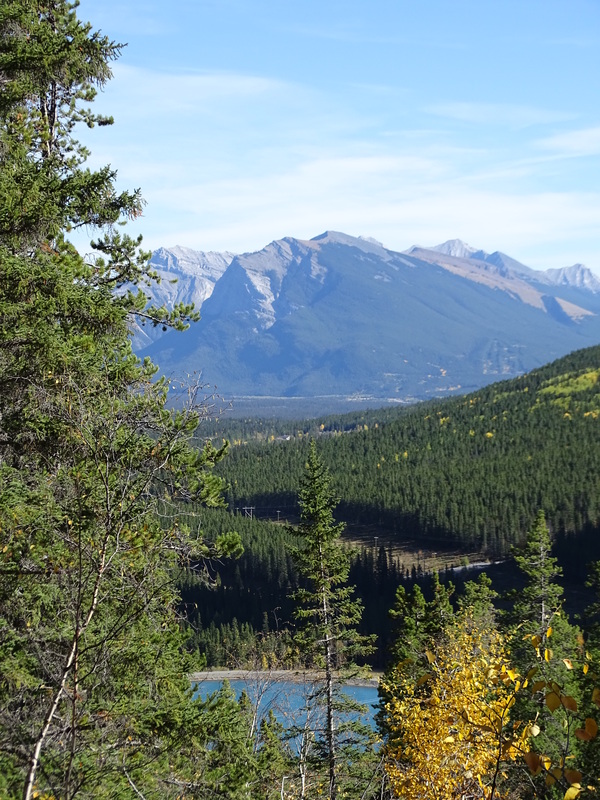 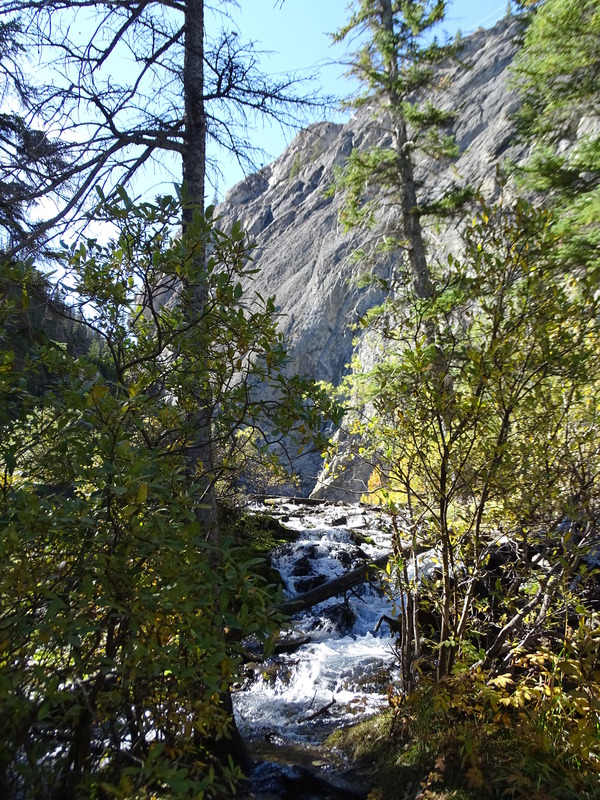 It is a nice hike through the forest with views over the town of Canmore and the Bow Valley. 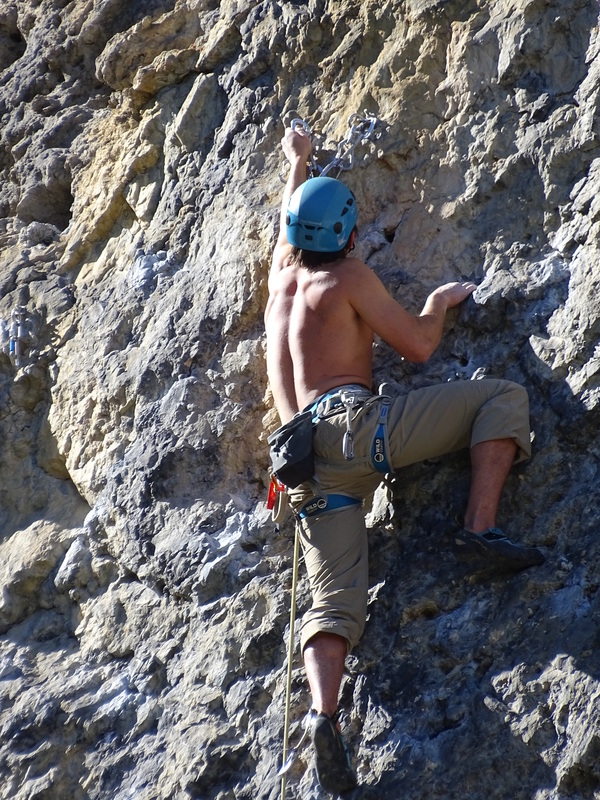 There is an easy route and a difficult one and for both walks you need good shoes! 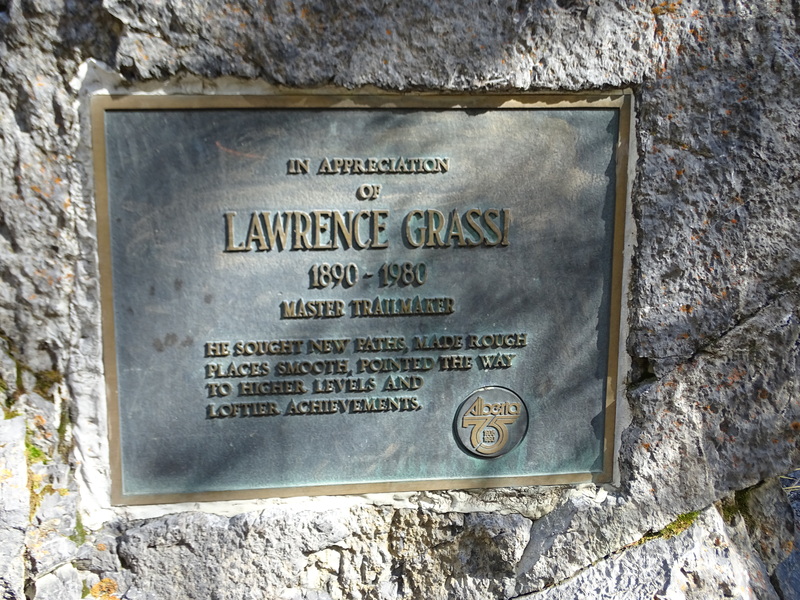 Grassi Lake is situated at an elevation of around 1,525 meters and Lawrence Grassi, an Italian immigrant, who worked first for Canadian Pacific Railway and later became a miner in the Canmore coal mines, built many trails in the park and also worked as a climbing guide. 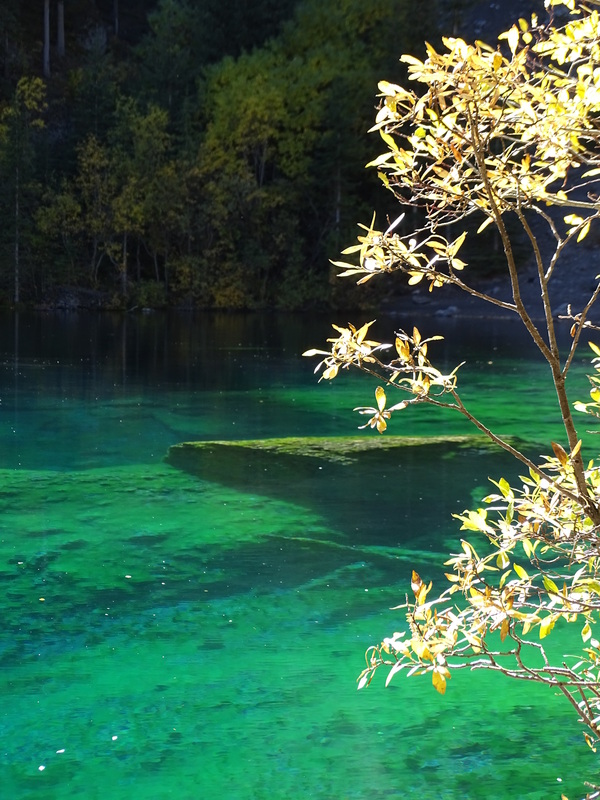 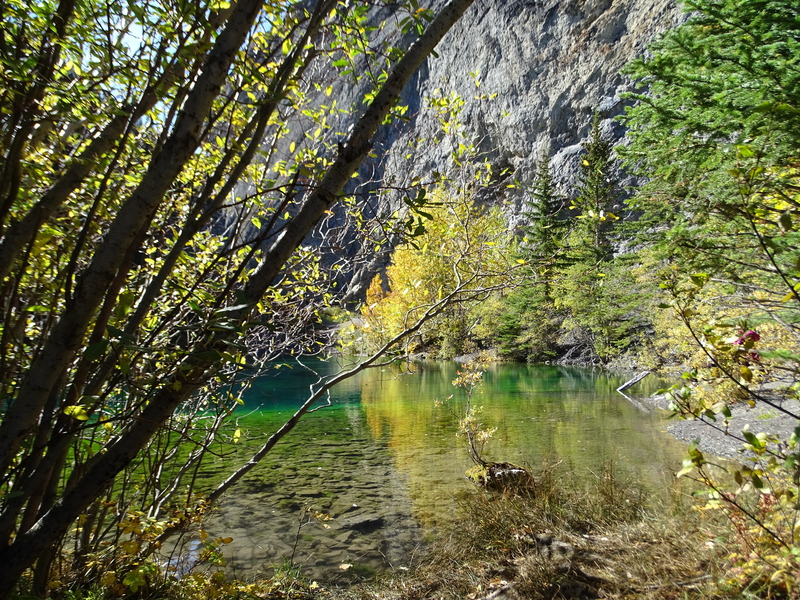 The upper and lower lakes are a nice surprise, as the sunlight gives them all kinds of colours and there are all different shades and shadows of the mountains and trees in the crystal clear waters. 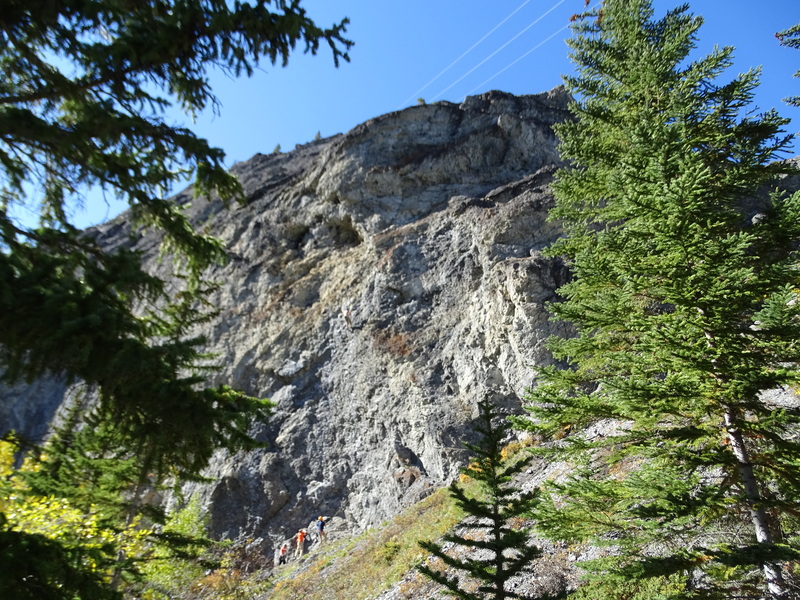 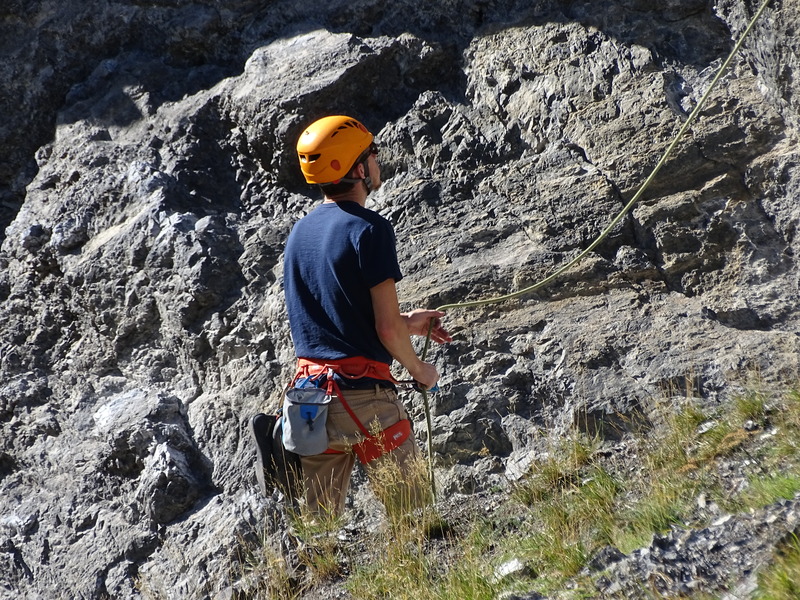 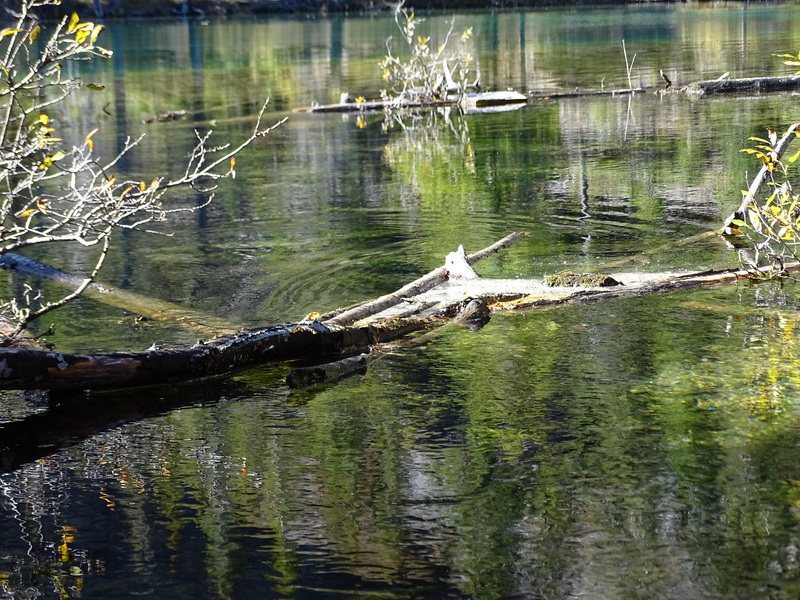 A favorite spot, also for mountain climbers……….like my son……..I try not to think about it too much!